Spanish journalists hoping for clarification on the political contingency plan in the affluent Catalonia region were left disappointed on Thursday (8 February) when the regional parliament speaker shunned the topic following his meeting with the ousted Catalan vice president in a Madrid prison. EURACTIV’s partner efe-epa reports. 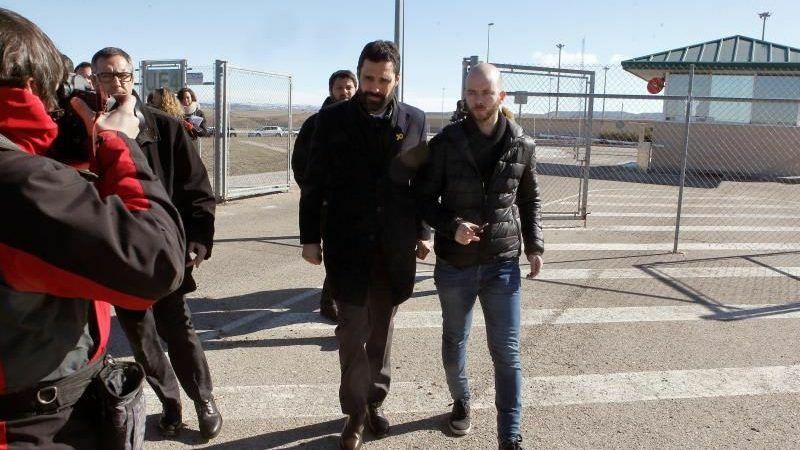 Roger Torrent arrived at the Estremera prison complex, 75-kilometres southeast of Madrid, to meet with Oriol Junqueras, a fellow member of the Republican Left of Catalonia (ERC), who is being held in pretrial detention for his role in Catalonia’s unilateral declaration of independence on 27 October, branded illegal by Spain. Junqueras faces an investigation into allegations of sedition, rebellion and misuse of public funds. “This jail cannot imprison ideas or their dignity,” Torrent said at the gates of the penitentiary, adding that Junqueras and Joaquim Forn, a former separatist politician also detained in Estremera, were victims of a political trial and that he would do all he could to secure their freedom. 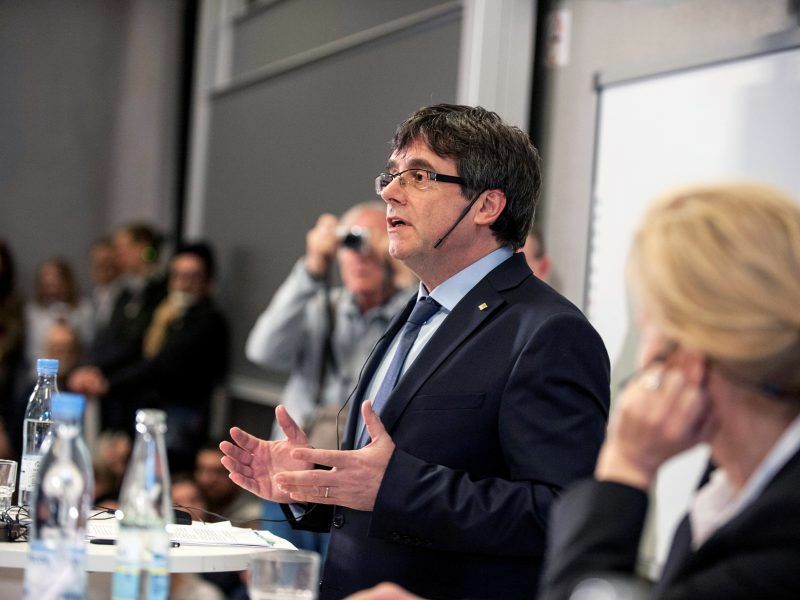 He did not, however, put an end to the speculation as to who could replace the ousted and former Catalan president, Carles Puigdemont, as a candidate to be re-appointed to the leadership of the Catalan local government. Puigdemont, who fled to Belgium to avoid a Spanish arrest warrant in the wake of the independence declaration, has been at the centre of a political spat between Catalan separatists parties, who agree that the ex-president could be voted in again from afar, and the Spanish government, which insists he must return to Spain to take up the post – which would lead to his immediate arrest. The Spanish Supreme Court dismissed on Monday (22 January) a request by top Spanish prosecutors to reactivate a European arrest warrant for the ousted Catalan leader Carles Puigdemont, who has been in exile since November. EURACTIV’S partner EFE reports. A recent proposal by pro-independence parties, who cobbled together a slim majority after the 21 December snap elections in Catalonia, is to appoint Puigdemont symbolically but have another candidate carry out the day-to-day tasks in office. This has yet to be broached publicly by Torrent, whose job it is to organise the plenary debate and a vote on the matter.